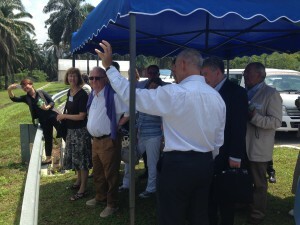 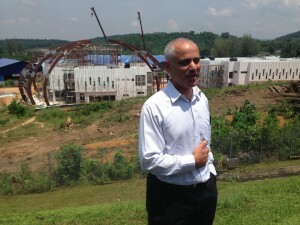 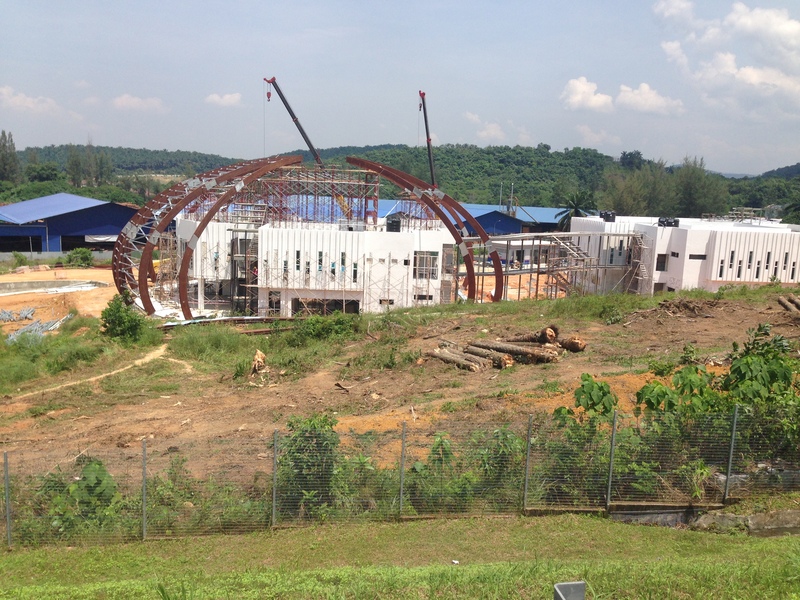 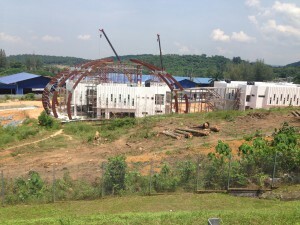 On the recent on location visit, when the Vice-chancellor accompanies a number of VIPs to our international campuses in China and Malaysia, we were able to show the progress that CFFRC (Crops for the Future Research Centre) has made with regard to the iconic domes that are being built. 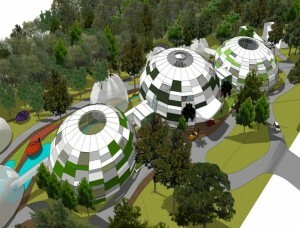 We showed an artist’s impression of the domes in a previous post (and shown below), but the buildings are now beginning to resemble those architectural images. It won’t be long before we no longer need to refer to the drawings, but can actually see their full realisation in their full glory.